June 20, 1928 ~ January 17, 2018: Elizabeth had a deep appreciation of the Lord's beautiful creations and loved to work in flower gardens and to watch the birds and provide food and water and bird houses for them. Elizabeth Ann Hart Taylor, 89, was born on June 20, 1928 in Vancouver, Washington to Irvan and Nona Hart. Elizabeth died on Jan. 17, 2018 at Prestige Senior Living Orchard Heights in Salem, Oregon. Elizabeth went to school in Battle Ground, Washington, graduating from Battle Ground High School. She participated in music from 1st grade through high school. She was a soloist in both junior high and high school. She majored in music and home economics, giving her great joy in making clothes for all of her family. 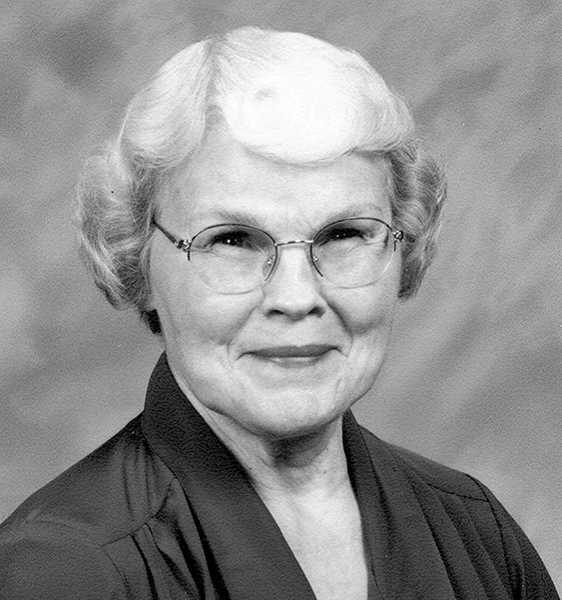 She attended Clark Junior College in Vancouver, Washington in 1947, and married Gordon Taylor, her childhood sweetheart, in 1948. He was a variety store manager and the family lived in different cities as he was transferred: Vancouver, Washington; Sweet Home, Portland, Coos Bay, North Bend, and, finally, Woodburn, Oregon in 1964. Elizabeth was employed at Sprouse Reitz from 1963 through June of 1990. She was a member of the Skyline Baptist Church in North Bend and Woodburn Bible Baptist Church, which is currently known as Mid Valley Community Church. She had a deep appreciation of the Lord's beautiful creations and loved to work in flower gardens and to watch the birds and provide food and water and bird houses for them. Elizabeth is survived by her children: Les Taylor of Salem, Oregon, Wayne Taylor of Brookings, Oregon and Lora Hyatt of Arkansas; brother Howard Hart of Vancouver, Washington; 7 grandchildren and 6 great-grandchildren. She was preceded in death by her twin brother, dead at birth, and her husband, Gordon Dean Taylor, in 1985. Memorial contributions may be made to Mid Valley Community Church, Woodburn, Oregon. Graveside service was held at Belle Passi Cemetery in Woodburn, Oregon on January 20, 2018. Arrangements by Simon Cornwell Colonial Chapel in Woodburn.